Have you inherited an Estate Jewelry collection from a family member? Does it have some pieces you will never wear or do you need to liquidate to divide it between the beneficiaries? 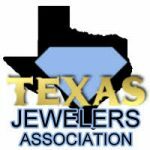 Sell Your Estate Jewelry Collection to Houston Gold Buyers. At Houston Gold buyers we will take the time to verify and assess each and every piece of jewelry before making an offer on the collection. It is not only jewelry we are look for. We are also buying stamp collections, fine luxury watch collections, coin collections as well as old U.S. Currency and gold and silver bullion. Many vintage designs are back in style and may bring premium when selling them. Why Sell Your Estate Jewelry Collection to Houston Gold Buyers? We pay top dollar for your jewelry! Everyone says that right. Well we mean it. We will match or beat any legitimate offer. How many of our competitors say that? 100% transparency. We weigh all your jewelry and evaluate it right in front of you. We never walk away with your valuables. We will sit and explain each step and evaluate every piece of jewelry one at a time before making you an offer. Does a piece of jewelry have a story behind it? Please tell us! We love talking to our customers and we love a good story. We want you to have fun when doing business with us. So tell us the story or crack a few jokes. We love a good laugh. You can have confidence when selling your estate jewelry collection to Houston Gold Buyers. We keep track of the collectibles market and know the true value of your items. Many pieces are worth way more than their gold or silver value. Sell to someone who knows the difference. We will come to you. If you have a large Estate Jewelry Collection and do not feel safe driving around with that large of an amount of valuable family heirlooms we will come to your home or bank to evaluate your collection. Location Location Location. We are located at 1330 Westheimer Rd, just minutes from the Galleria, in the heart of Houston. We are just minutes from I-10, I-45, I-59, 610 & 288.No matter which direction you are coming from we are not but a short drive away.We have convenient front door parking. You can drive right up to our front door and walk right in. No walking through huge parking lots or dark parking garages with your precious heirlooms. Confidence. Houston Gold Buyers has been in the same location since 1993. We are also A+ rated with the better business bureau. However don’t take our word for it. Look at our Google Reviews. Immediate payment. We pay you on the stop. No post dated check. No Partial payment. No matter how large the collection is. What Estate Collection Items Do We Buy? We not only buy Estate Jewelry Collections. We also sell estate jewelry. We have a huge selection of vintage jewelry, antique jewelry, large diamonds & gemstone jewelry. We also sell pre-owned Rolex watches, gold and silver coins, gold and silver bullion, as well a rare coins and U.S. Currency. We buy direct from dealers and the public eliminating the middle man and pass those savings on to you. We have a constantly changing inventory so we highly recommend checking back with us regularly if there is a specific item you are looking for. You can also call us anytime at 713-521-4444 to see if we have that rare item you have been searching for. We also keep a list of items customers are searching for. Feel free to call and we will add you to this list and make every attempt possible to locate the item for you. We travel the country to collector shows searching for rare and unique items. So chances are we can find that one item that has always eluded you. While there are many gold and jewelry buyers available to sell your jewelry when selling an estate jewelry collection you want to make sure you deal with someone with estate buying experience. Houston Gold Buyers has specialized in buying estate jewelry collection since 1993. We have the knowledge to evaluate all the types of jewelry that may be in your collection. We will not try to judge your jewelry as quickly as possible. We want to evaluate each piece individually to ensure you receive what your collection is worth.Our staff has been trained to spot rare pieces and highly sought after designs.We will also match or beat any legitimate offer. How many other offer that?